Supporting the use of technology in Initial Teacher Training (ITT) is an important part of the JISC Regional Support Centre (RSC) remit. As a tool to support RSC work with teacher educators, new teachers, mentors and relevant managers, RSC Advisors have developed a web-site to share expertise and knowledge. Though the focus is on the lifelong learning sector, the site could be useful to all educational sectors. This site deals with ILT (ie. 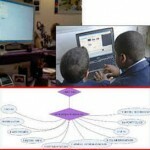 information and learning technology, or ‘e-learning’ or ‘technology-enhanced learning)- it does not provide ICT skills (ie. basic computer skills such as using e-mail or Microsoft Office) – for these, you’ll need to contact the appropriate trainer in your institution, and/or undertake ICT training such as ECDL. Please use the tabs above to navigate between pages on : offline tools (ie. technologies you can use without the internet eg. whiteboards), resources (mainly links to sites with good content or research ideas), online tools (ie.tools that require the internet such as VLEs), regional information (mainly about post-16 teaching standards and associated information). If you are completely new to ILT, you might like to start with an introduction! If you need to get started quickly, have a look at our suggested Top Ten Classroom Technologies. This entry was posted in Uncategorized on August 3, 2012 by christinersc.